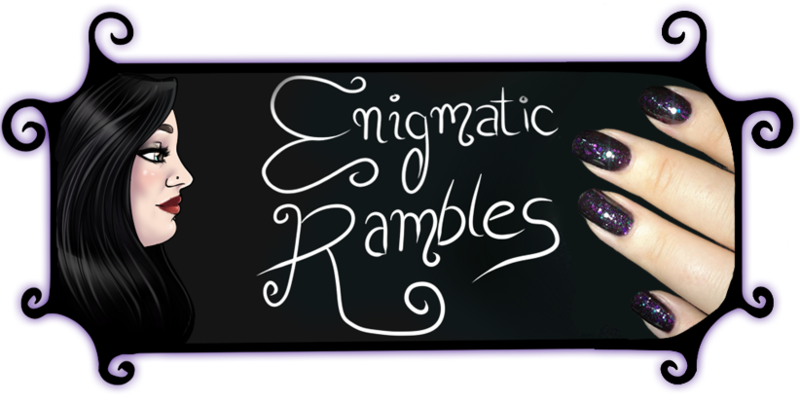 Magnetic polishes were a trend that didn't stay around for too long, I keep forgetting I have these as they live with my glitter polishes and I prefer cream ones. For this I used Barry M's Magnetic Burgundy from July 2012 and MUA's Leicester Square from May 2013. 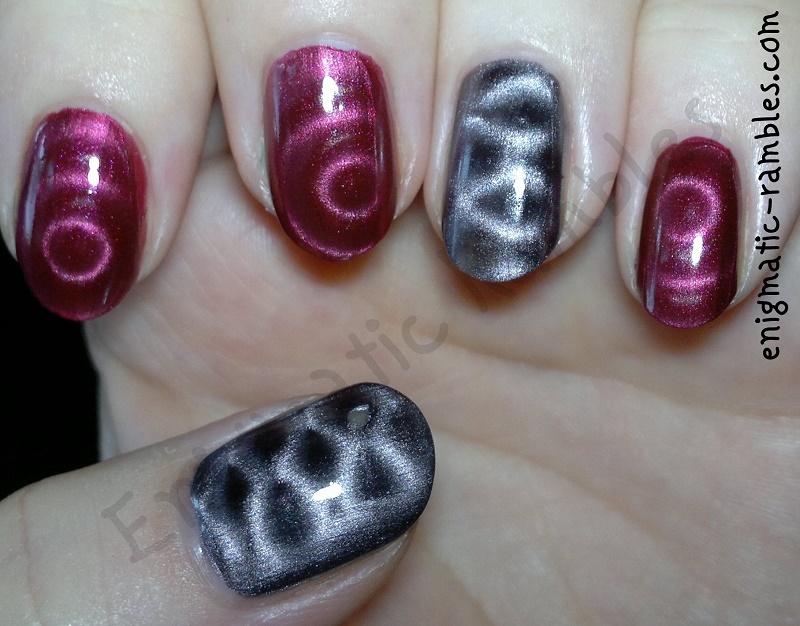 I love magnetics, have you tried doing a gradient with them? I haven't tried that, I wasn't sure the magnet aspect would work in a gradient because of the quick drying time. Have you? You're right, magnetics didn't hang around for very long. 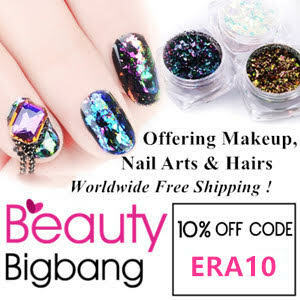 I have only got one bottle of magnetic nailpolish, and I am sure it is somewhere but I have never used it myself. This post has reminded me of it, and I sure should make some use of it sometime!